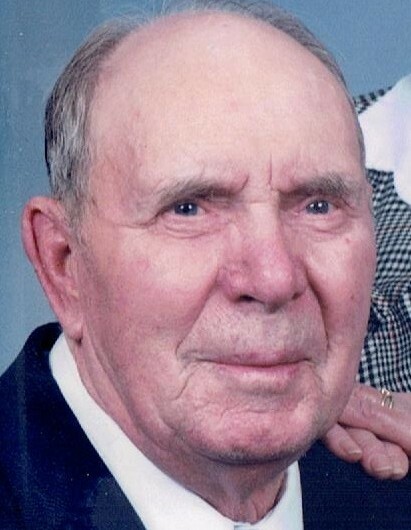 Franklin C. Byers, 96, of Erie, passed away Friday, August 31, 2018 at his home. Funeral services for Franklin will be 10:00 a.m. Wednesday at Wheelan-Pressly Funeral Home and Crematory, 201 4th Ave. E., Milan. Visitation will be 4 to 7 p.m. Tuesday at the funeral home. Burial will be in Chapel Grove Cemetery. Memorials may be made to the family for a stepping stone at the QC Botanical Center. Franklin was born on February 26, 1922 in Woodhull, IL, a son of Clyde E. and Elva (Carlson) Byers. Following his mother’s passing, Franklin was raised by his father, Clyde, and Anne Byers. He married Anna Mae Wangelin on October 30, 1947 in Taylor Ridge. Anna Mae passed away on January 17, 2015. Franklin was a farmer for over 33 years, working for several area farmers. He loved farming, spending time with his family, flower gardening, raising rabbits and collecting John Deere memorabilia. Franklin was a member of Bethel Wesley United Methodist Church, Moline, Galesburg Flower Club, Rabbit Club and 4H. Left to cherish his memory are his children, Betty Byers, Don (Janet) Byers, John Byers, and LeRoy (Lauren) Byers; grandchildren, Angie, Steven, Michelle, Stephanie, Donny, Heather, Raymond, and Natalia; nine great-grandchildren; nine great-great-grandchildren; sister, Ruth Byers and many other loving family members and friends. He was preceded in death by his wife, Anna Mae, parents; sister, Dorothy Schroeder and brothers, Dale Byers, Eugene Byers, and Quintin Portugue.